Ireland, it never stays the same! Over the last weeks we’d had torrential rain and several of the worst storms in 15 years. Then last Sunday we had sunshine, warm southerly breezes and a totally lovely day. It could have been July. Almost. 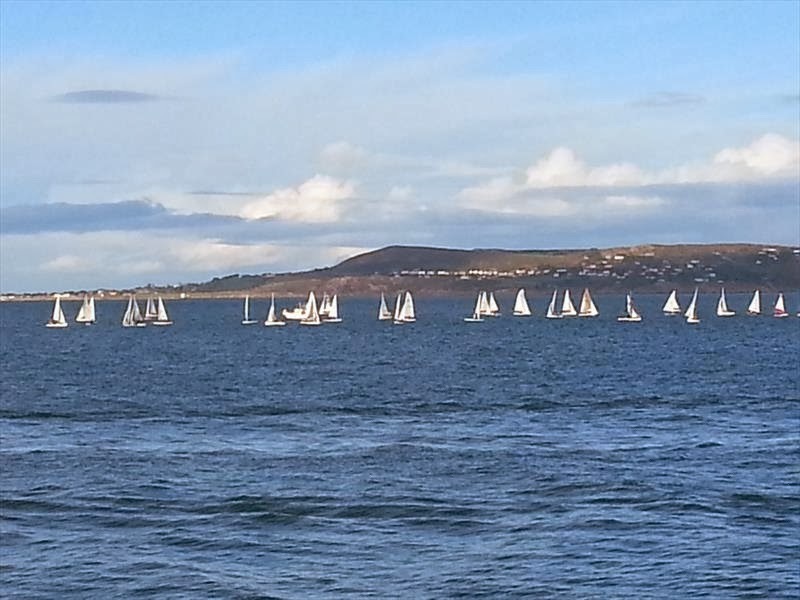 The committee brought us outside the harbour, which was a VERY good idea, laid a trapezoid course and got the various fleets through two complete three-lap races. An excellent performance! 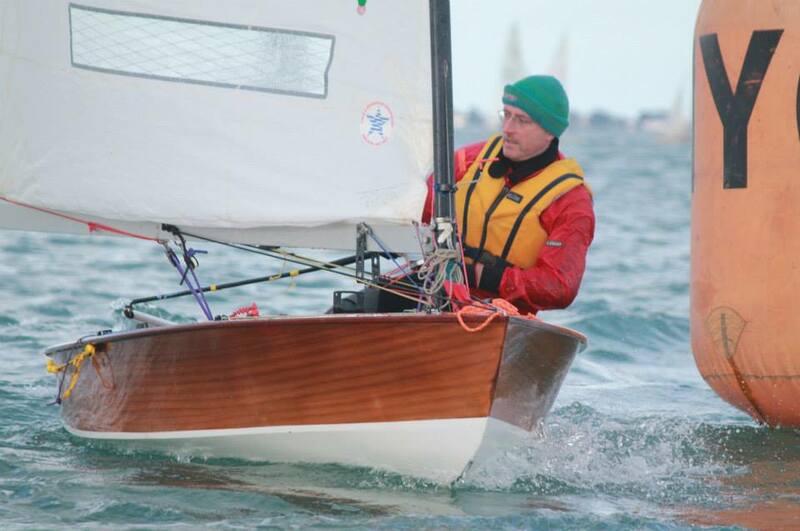 In race 1 the OK Dinghy thought it had gotten the 2nd best start behind Hamilton’s IDRA14. A pin bias and strong tide saw many boats edging carefully along the line trying hard to stay behind it. In the end it appeared Hamilton hadn’t succeeded, although it must have been tight. The soft masted Beastie, sailing with the Milky Bar Kid’s heavy skipper and sails, couldn’t get the leech closed and had no height upwind. Despite that, and despite overlaying the windward mark on the 2nd beat, Beastie took the race win courtesy of Hamilton’s OCS. The IDRA had otherwise sailed a perfect race. 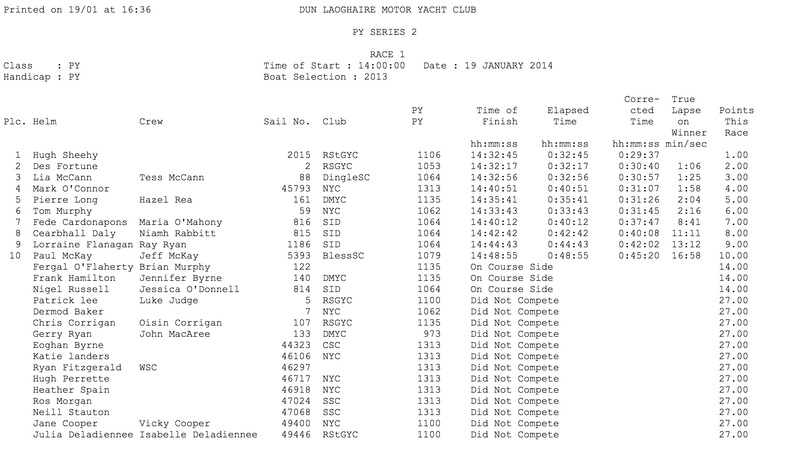 Race 2 saw the speed problem continue and the old 2-minute deficit reappeared, leaving the OK Dinghy finishing 6th out of about 15. It’s now in 2nd overall in Series II and certainly 2nd overall in the Overall Series. It must be said though – it won the title of prettiest boat on the day! « Blow wind, crack your cheeks! Rage! Blow!